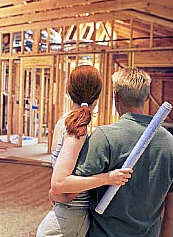 I want you to look at your upcoming project from the perspective of a good General Contractor. Once you can do this you will be better prepared to think both strategically and practically about the project you want to undertake whether overseeing the construction of your new home or a remodel or addition project. Remember that no matter what the size of the project a good General Contractor is always thinking about what needs to be done to reach the desired goals while factoring in time, budget, the building sequence as well as weather, lead times, and quality control. Confirming with local zoning and building departments that the entire scope of the project can be completed without violating any local building or zoning codes. Arranging for clearly written documentation of all the goals for the project. This might involve acquiring architectural drawings or creating detailed lists of steps and products or possibly both. Putting together the right subcontractor group to handle all aspects of the project and clearly communicating the project goals as they relate to each of them with written goals and drawings. Site meetings with subcontractors for the purpose of clarification and questions in order to gain from them accurate written bids for their part in the project. From here a good GC would periodically review this information with the homeowner updating them on how close the intended budget relates to the actual bids as well as discussing the time estimated for completion by the subcontractors. This is also where they would discuss with the homeowner any unforeseen issues uncovered while putting together bids. Finalizing the compiling of all the required bids needed to complete the project. Making sure that all required items on the spreadsheet have an accurate cost listed. Create a construction contract for the homeowner using the spreadsheet to determine overall total cost as well as describe the full scope of work included and a realistic target completion date. Creating a list of warranty details that will be included to cover the quality of the workmanship. Working with local zoning and building departments to fill out the construction permit application and paying the necessary permit fees. Assuring the work site is correctly prepared to begin work including assuring that local building and zoning guidelines are met and permits are properly posted on the site. Contracting the subcontractors and getting them started. Confirming they are properly insured and then managing their efforts including quality, timeliness, and payments. Communicating with all suppliers and coordinating their involvement as well as interaction with the client. This might include coordination of cabinet makers with granite fabricators as one example. Coordinating the incremental payments for all of the subcontractors commensurate with work performed to date, also making any deposits required for items to be ordered. Tracking every penny on a spreadsheet called a “draw statement” which creates a snapshot of every line item in the project and what has been paid for so far on how much remains for each line item. Always looking for an opportunity to save money on the project without sacrificing quality if market conditions change or value savings are found. Periodically assisting each subcontractor in any way necessary to keep the project moving forward. Making sure the inspections needed to comply with local zoning and building codes are all scheduled and successfully passed in a timely fashion so that work can continue to the next phase. Constantly making lists and updating them on what remains to be completed until the list is blank. You could say this is just a brief overview. This is by no means an exhaustive list and I hope you have noticed how many opportunities were listed to be in complete control of the money. The key here is again that with a little help you should have no problem becoming the General Contractor and with that control you maintain complete control of the money, Your Money!